Do you have a Furminator? 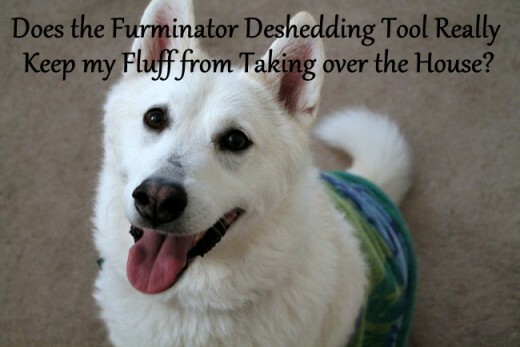 Does the Furminator Dog Deshedding Tool Work? When I first heard of the Furminator, I thought maybe it was some new ab workout video series. It is not, in fact, a 10 minutes to your best body plan. It's much better - it actually works! Don't let the goofy name or somewhat unprofessional packaging fool you. The Furminator really does work. I have an Alaskan Husky and a Husky/German Shepherd mix, and this is the only brush or deshedding tool that can keep up with their fur. Don't believe me? Stick around meet the contestants and see the evidence. How do you Deal with a Husky's Fur?! My sister recently asked me to not carry my dogs in her car without protecting the seats with a blanket or a sheet. Funny thing is, I have never put the dogs in my sister's car! That's how much fur sticks to my clothing and falls off me wherever I go. When people started assuming my dogs had been places they hadn't, I realized it was time to make a change. Dogs shed. You can't prevent it. 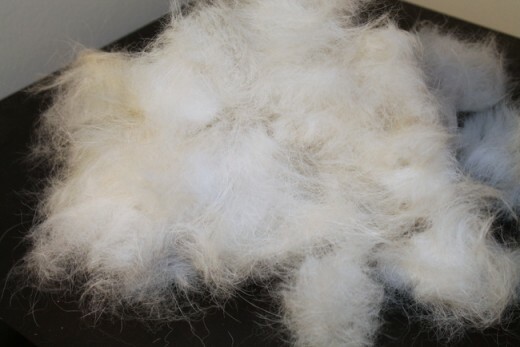 I happen to own two double-coated, very furry dogs who shed a 'slightly' year round, but really blow their coats in spring and fall. Why they shed in preparation for fall is beyond me, but they do. I've tried all the traditional tips and tricks for combating shedding. I've washed them with special shampoo, combed them while they're wet, fed them dietary supplements allegedly designed to reduce shedding, and tried a variety of other dog combs. I was hesitant to try the Furminator because it has a goofy name and kind of uninspiring packaging. Finally, fed up with everything else that didn't work, I purchased the large (4") Furminator for dogs. 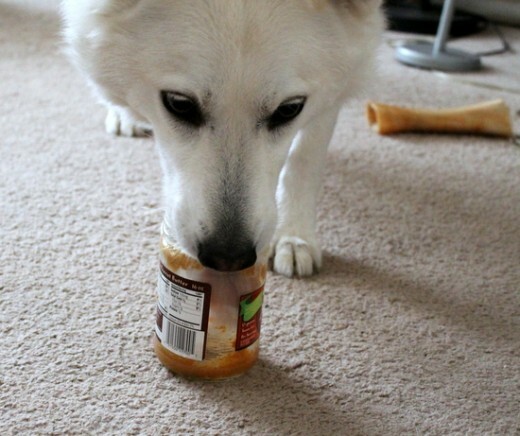 It was one of the best purchases I've ever made for my dogs. While I bought the 4" model, The Furminator is available in smaller sizes for smaller pets, and even comes in cat sizes, too. You can also purchase a Furminator with a "fur rejector,' which seems to be a bar that makes it easier to remove fur from the comb's teeth. I personally don't have any trouble simply removing the fur on my own, but this could be a convenient feature for others. The picture to the right is the pile of fur that came off my boy dog in one Furminator session! As you can see, the fur has actually been compacted a little. If the fur were left loose, the pile would be even larger. The Furminator works by carefully combing the dog's coat and removing lose, dead fur. The tines are designed to reach through the wirey outer coat to snag the loose fluffy undercoat during spring and fall shedding seasons. Just as brushing or combing your own hair removes dead strands that have yet to separate themselves from the pack, so to speak, this comb gets rid of all the excess fur that clings to your pet, waiting to stick to you and your furniture. The Furminator does not cut your dog's coat. It also does not pull out living fur. As a result, using the Furminator is painless for your pet. I haven't heard a single yelp of surprise from my guys! Because the comb reaches into the coat to remove as much fur as possible, this comb works much better than more traditional dog combs. These other combs, like the bent loop "Shedding Blade" type comb, only groom the top coat. 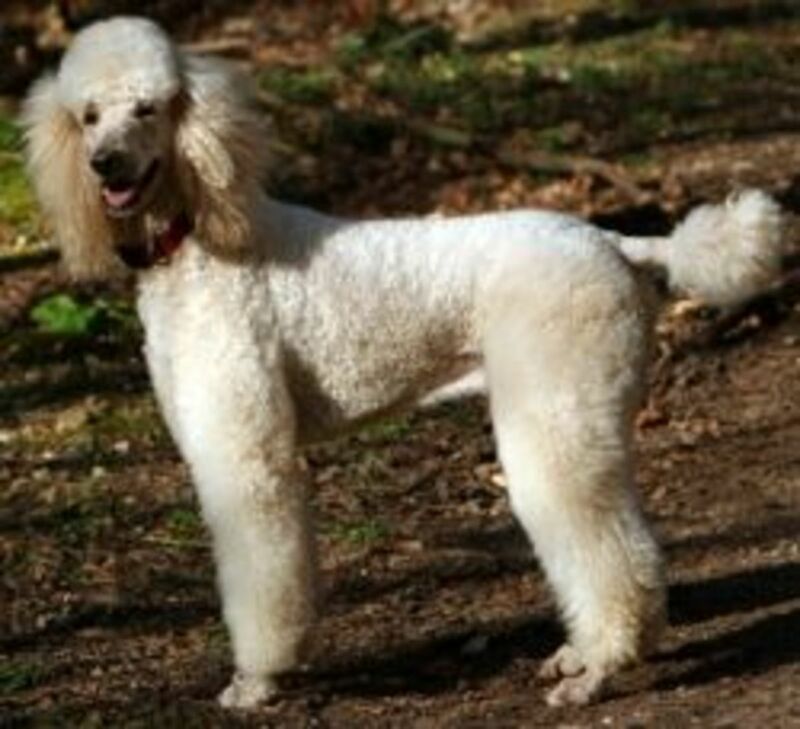 This may be fine if you have a short haired, single coated dog, but it doesn't' work for the dogs with serious fur. The Furminator is the only dog comb I've tried that really, truly extracts a meaningful amount of hair and cuts down on subsequent shedding. However, there are a few things you need to know about the comb. The first time you brush your dog with the Furminator, it will probably take a long time to remove all the dead fur. It might literally take an hour, or even two, of effort if you haven't combed the dog in a long time. Quite honestly, I could have collected even more fur than what is shown above if I hadn't gotten too bored to continue! Because my dogs are very furry, I basically had to clean the blade after every pass, which increased the amount of time it took to groom my pets. The Furminator is a comb with small, pointy tines. 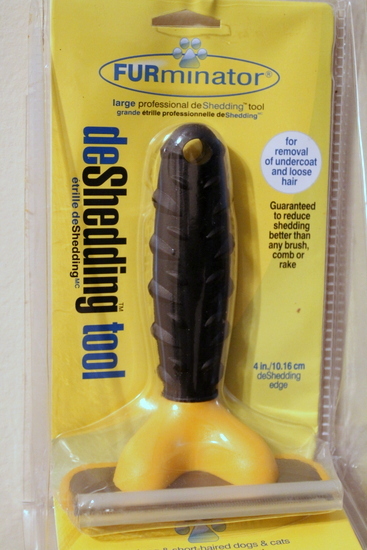 It comes packaged with a plastic cap to cover these tines - keep this cover! 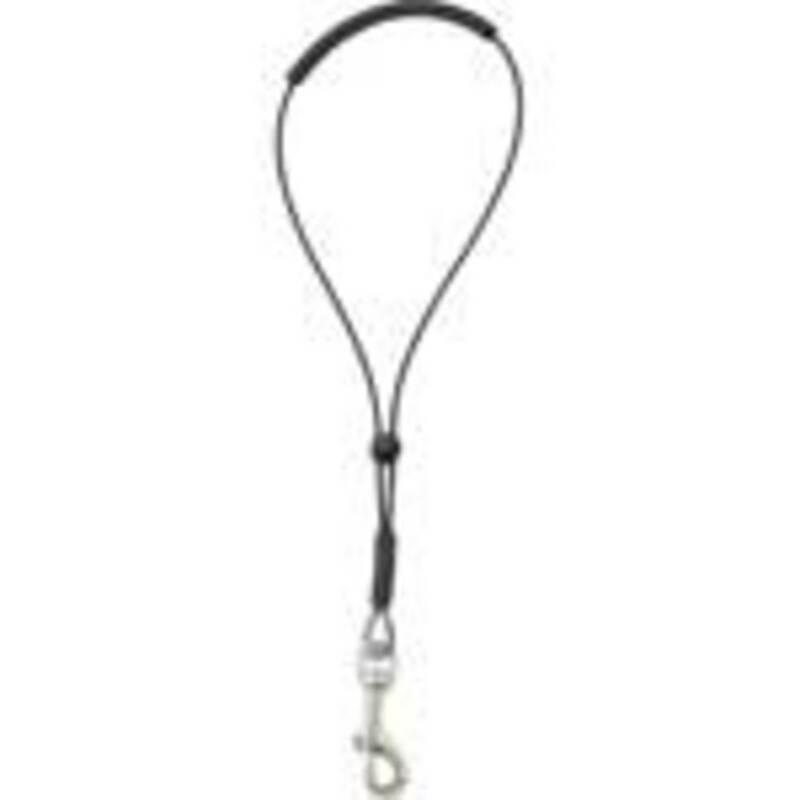 Store your Furminator with the protecting cap in place or you or your pet may end up with a bleeding paw, food, or hand. If you step on this barefooted, you will hurt yourself. 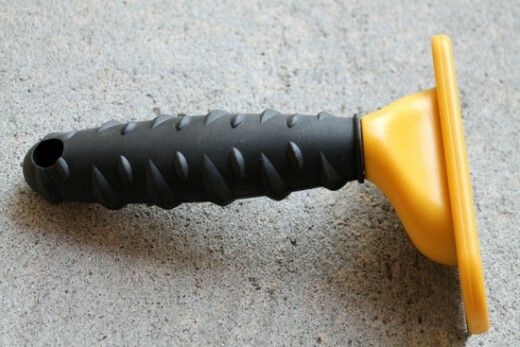 Granted, you probably shouldn't store pet grooming tools on the floor, but accidents happen. 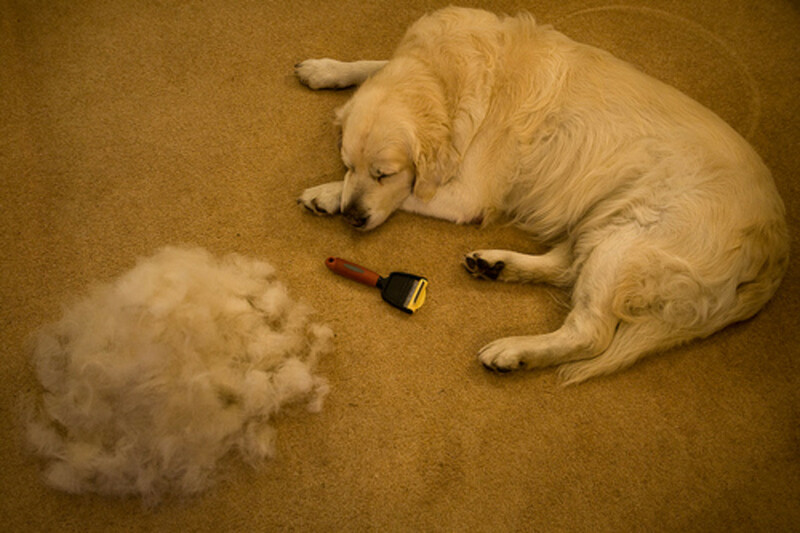 How do you reduce your dog's shedding? I'm still trying to find a solution! I already have a Furminator and love it. Have a long haired cat? There's a Furminator for that! The large cat comb is specifically designed for felines with very long fur. There are Furminator models in all different sizes to groom your pet dog or cat. I haven't tried the cat version of the Furminator, but it is basically just a smaller version of the dog model, so it should work just as well. If you have been struggling to control your pet's shedding, the Furminator is the only comb I can recommend. After 5 years of husky ownership, I think I've tried just about everything! If you regularly comb your dog with the Furminator, and keep combing for long enough to remove all excess dead fur, you can dramatically reduce your pet's ability to shed on your furniture, clothing, and floors. Why is my dog losing so much hair? Dog Dandruff . . . Dog Dander: Is Your Dog A Little Flakey? Furminators work great for labs and dogs with similar coats. With fluffier dogs it actually can cut the coat and damage it. 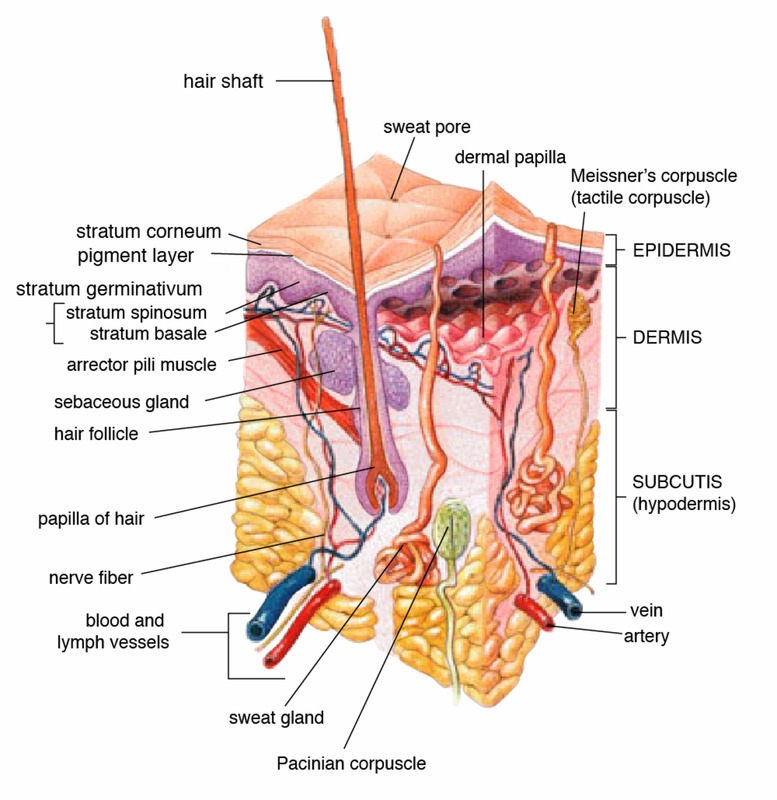 Look at the tips of the hair and make sure you see the white "bulb" this mean the hair is being pulled out by the root--this is what you want. If you don't see it, you're cutting the coat. Big hairy breeds benefit so much by seeing a professional groomer. We use high quality shampoos and are able to use a high velocity dryer to help loosen and blow out all the loose undercoat, making it lighter and fluffier and easier to comb out. Brushing can only go so far, there's more to a dogs coat than a quick bath and deshed. The skin needs to be healthy and have a good air flow down to it by having excess undercoat blown out and brushed away. As a groomer I never use a furminator of the Fluffier dogs like poms, pyrs, thick huskies... only on the shorter leg hairs and maybe around the ears. Furminators are way overpriced too, I have found a really good offbrand at walmart and, like I said before, use it on my lab and it works great. Yes! My pups shed all the time! This comb certainly helps, though. I use it on them about once a day! 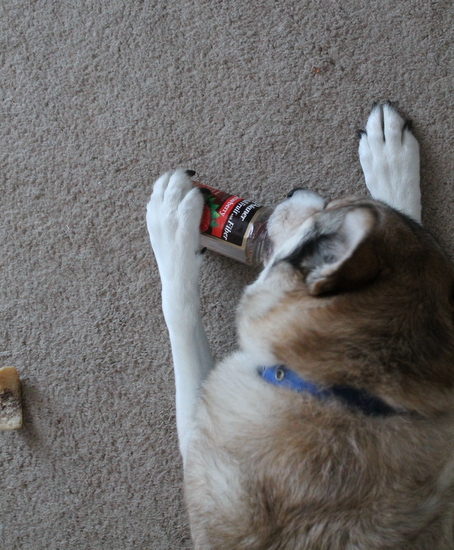 We have a Siberian Husky and seems to shed year around. When we go to visit people with the dog or motels we bring her to a groomer. She seems to shed as soon as we get home from the groomers. I'll have to look into this. voted up, useful and sharing. Mine is getting so much use right now! That fluffy guy in the picture above has so much fur. It is unreal! As soon as it gets warm for a minute, it all lets loose. The Furminator works so much better than everything else! Thanks for stopping by this hub and I'm glad you use a Furmiator to keep your pet fur under control, to! Oh wow, this looks great! I've never even heard of this but now I'll definitely have to look out for it in the store. I particularly loved the photo of all the dog hair- it looks so gross but I'm sure it felt amazing seeing those results so quickly. I cut the boy's fur off once. Then he just shed tiny, stabby furs! That's what I get for owning such a fluffy critter. Have fun with your cure for dog shedding! Thanks for stopping by. Thank you for your review. Since I live in Florida I just shave my dog down, and that decreases a lot of fur. But if we ever move up north again and decide not to shave her than I would definitely look into this. Great job Natasha and congratulations, very well deserved. My dogs act like they don't like being combed, but then they get all jealous when the other gets combed and come running over to see what the attention is about. They are funny creatures, but they make life better. When we had a dog, we used a comb and brush. He loved the attention. Good reviews and advice on this product. Your dogs are so cute. What a complement - thank you! I don't own a dog, but I wanted to check out the format of a good review hub. I like that you discuss this product using your personal experience as your example. Great review! Voted up. You would just need to get one of the smaller models. I happen to have the huge comb for furry dogs, but small pet friendly ones exist, too. Never tried this - looks like it would hurt a tiny skinny dog. Thank you! I am so excited. This may be the first time I've ever won anything. Thanks for stopping by and voting, too! 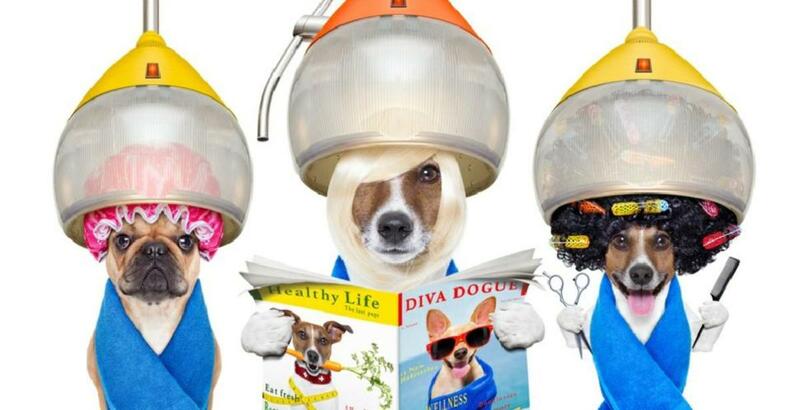 Congrats on your contest win for this informative and well written hub about the Furminator. Dog owners should find it very helpful. Sometimes I get all teary just thinking about the time the boy dog almost died, so I understand! It really does take out an incredible amount of fur without the cost and hassle of visiting a groomer. Thanks for stopping by! I'm sorry the puppy pictures make you emotional, but I hope you liked them, anyway. Omg, Natasha. I've told you this before, but your husky/shepherd mix looks just like my dog that I miss so much! Every time you show a pic of her I get all teary-eyed! Anyway, I had the same Furminator, and it worked really well. I would brush her with it while watching a movie or something and get a ton of fur off. She looked like she was just groomed. Great review! Three dogs - wow. I hope at least one of them has less fur than my Connor and Luna. Friends who only hear me talk about their shedding, having to take them out, and their playing with my stuff ask why I even own dogs. My answer is because I love them and they're worth every bit of bother. And the shedding sure is a bother! We have three dogs and we're still looking for a solution; this just might be it. Thanks for the review!